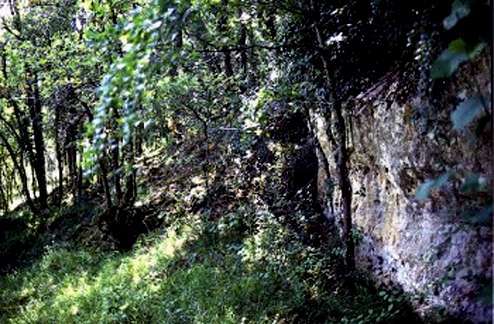 Combe-Capelle is a Mousterian / Neanderthal site situated in the Couze valley in the Périgord region of Southern France. 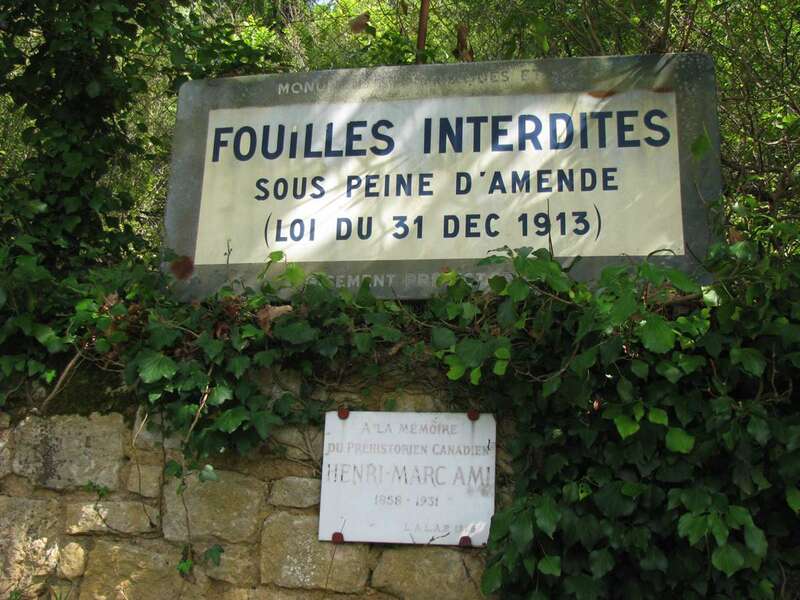 Henri-Marc Ami carried out excavations there from the late 1920s until his death in 1931. 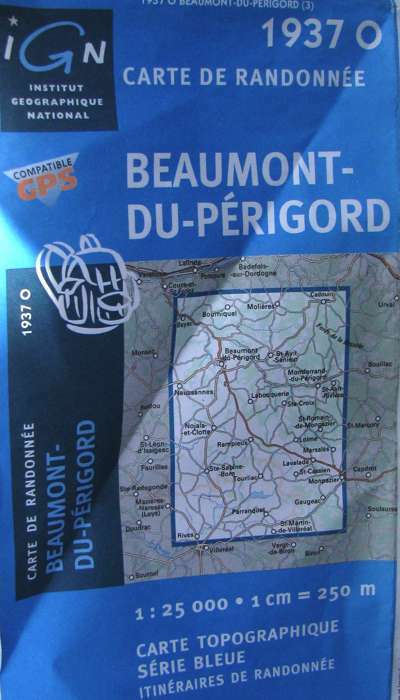 Combe-Capelle location map and cover. Combe-Capelle is slightly out on the map, it is on the east, not to the west of the small side road shown on the map. 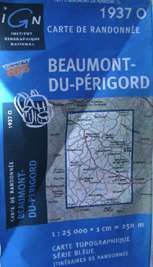 The topographical maps are fairly easy to get in the South of France (try tobaccanists and newsagents) and are very useful for navigating when trying to locate archeological sites. Photo: Don Hitchcock, of the IGN map, Carte de Randonné Beaumont-du-Périgord. Map of sites in the south of France showing ice age coastlines, including Combe-Capelle. 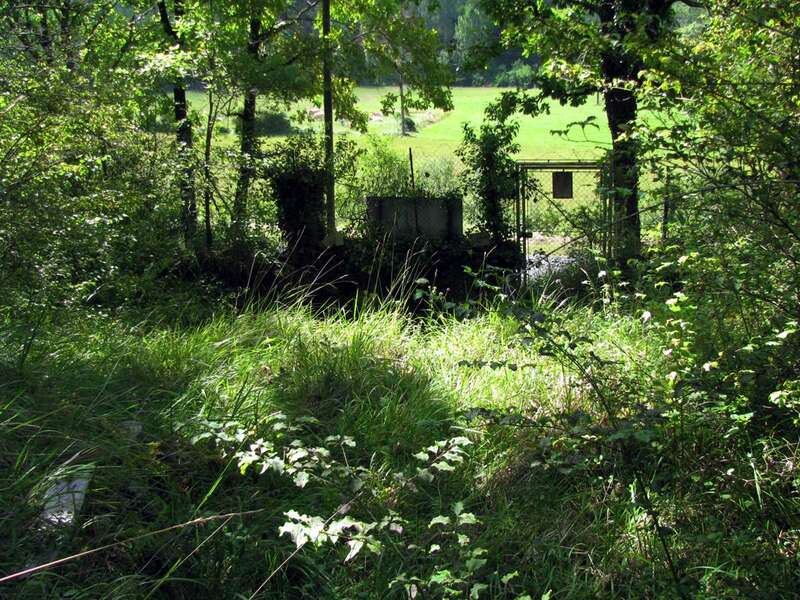 It is easy to miss the gate to the site while driving past. I was very fortunate to be there at the time when an official from the Ministry for Culture was making a once yearly visit to check on the site. Thus I was given a conducted tour while the official made his inspections. I was very grateful for this opportunity. 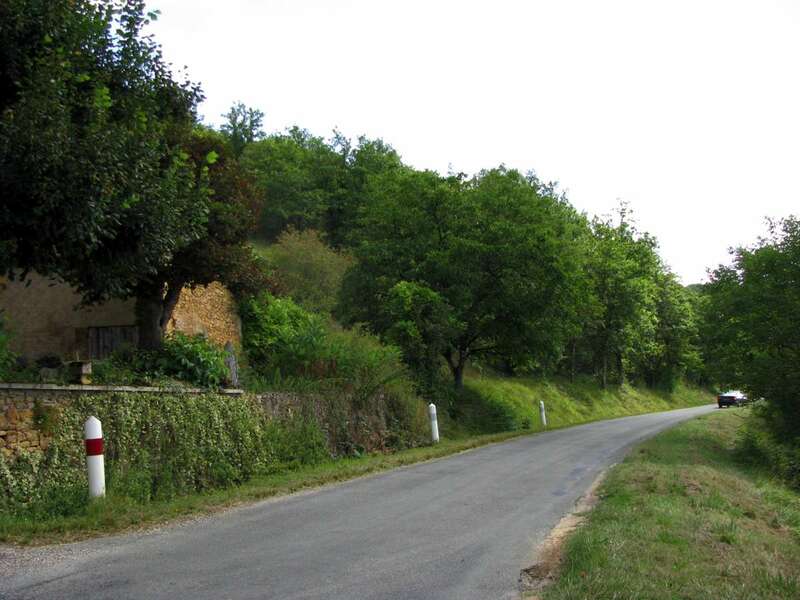 It is possible that the stone house on the left is the original house shown on the Peyrony (1943a) map below, and labelled as "Combe Capelle". 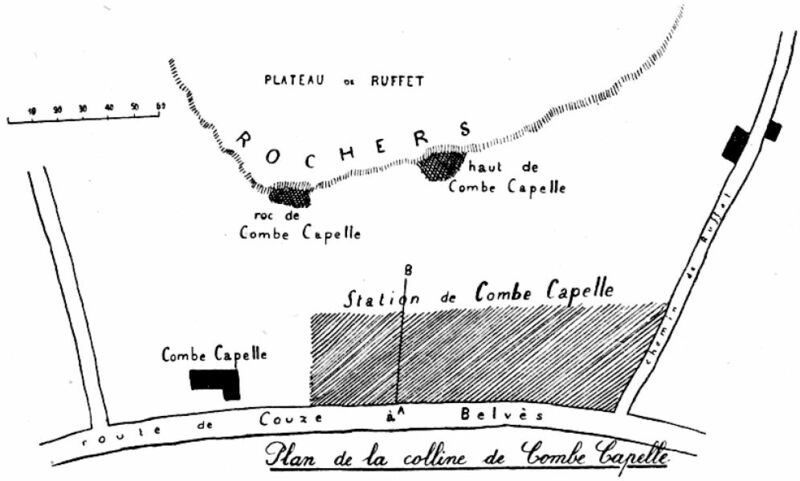 The building shown on Peyrony's map may also be the ruins of an ancient chapel, whence the name Combe Capelle was derived. 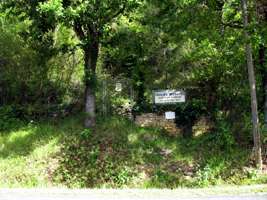 The site is surrounded by a fence. 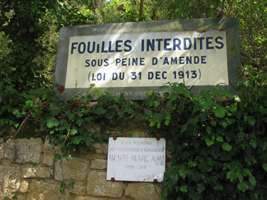 The small sign is in memory of Henri-Marc Ami, a French Canadian archeologist who carried out excavations there from the late 1920s until his death in 1931. 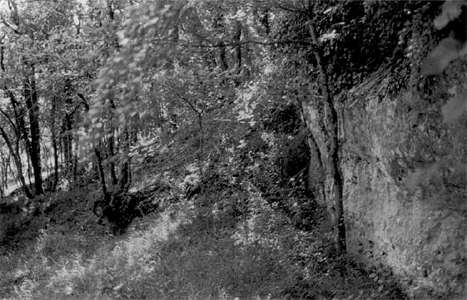 These photographs document the huge trench dug by Henri-Marc Ami, recognisable as the sections protected by stone walls. 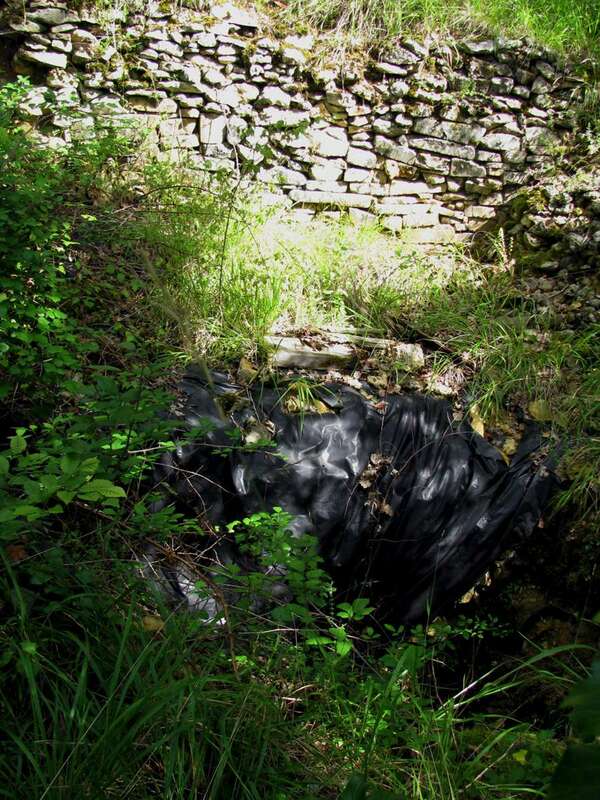 The black plastic covers areas dug by scientists more recently. 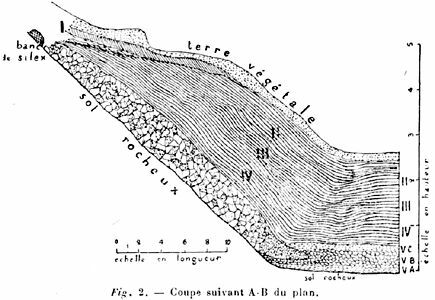 Plan of Combe-Capelle Bas, showing locations of various excavation units in relation to the outlines of Ami's trench. 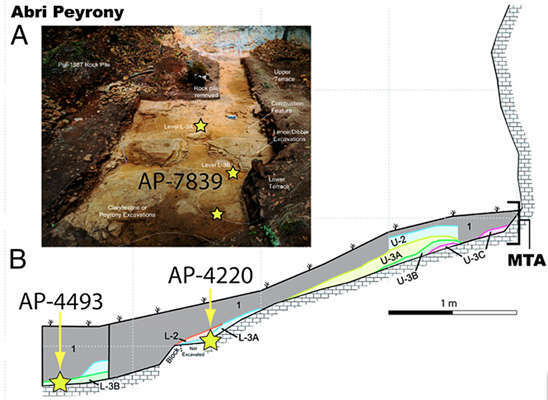 The two datums and the horizontal angle between them define the global cooordinate system used during the excavation. Haut de Combe-Capelle is sometimes called Abri Peyrony. This is the stratigraphy along the line AB on the map above. 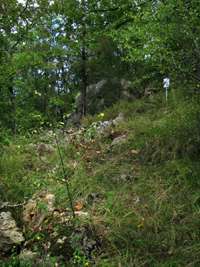 At its greatest steepness, the bedrock is inclined at 45° to the horizontal, but at 11 metres from the road the bedrock is at a much more gentle slope. 2. Limestone gravel with a thickness of 30 cm, with a few rounded siliceous cobbles, directly superimposed (Vb). 3. Then comes a reddish clay level of 15 cm, appearing to be another deposit from a flooding creek, which on the surface, and penetrating sometimes, we find an industry the same as that found at the base (Vc). 4. Spreading above this, an important archeological deposit which varies between 200 and 250 cm in thickness, depending on the exact locations considered. 5. 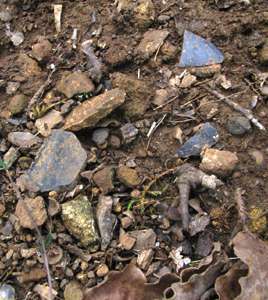 On the surface, following the inclination of the slope, we find many flint pieces with crushed edges, similar to those reported in le Moustier and la Micoque. 6. Everything is covered in part by the last archeological level which underlies and mixes with the topsoil. Nos 1, 2, and 5 cordiformes, or heart shaped all purpose tools, the Swiss Army Knife of the Mousterian industry. No 4 and 9 knife-scrapers. No 6 burin, used for making holes in leather, for example. Nos 7 and 8 Mousterian points. Nos. 1, 4, 7 triangular points with thin bases. Nos. 2 and 3 knife-scrapers. No. 6 knife with worn-out curved edge. No. 8 flake with truncated, worn ends. 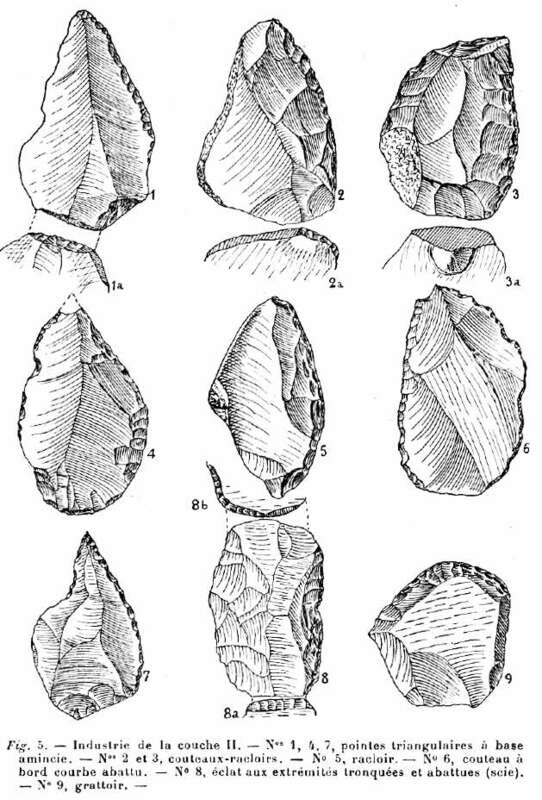 Note that the point 1 in the diagram above, shown again at the far left, is a classic Levallois point. You can clearly see the remains of the striking platform and the three flakes taken off in preparation before the final blow severing the flake from the core. ← To see an excellent animation of the sequence of making such a point, click on the image on the near left. The point 1 has been later modified by retouch along the right hand edge, presumably after it had become dull through use, or possibly to modify its shape. Not all flakes come off exactly as one would wish, as seen in the idealised sequence of the animation. No. 1 point with a thin base. No. 4 point with two bases. No. 5, 5a point with a broad (striking platform) base on the Clactonian plan, usually associated with much older flints. The Clactonian industry involved striking thick, irregular flakes from a core of flint. No. 6 point showing the striking platform. No. 2, 3, 3a, 7, 9 and 11 different types of knives. No. 10 tranchet. 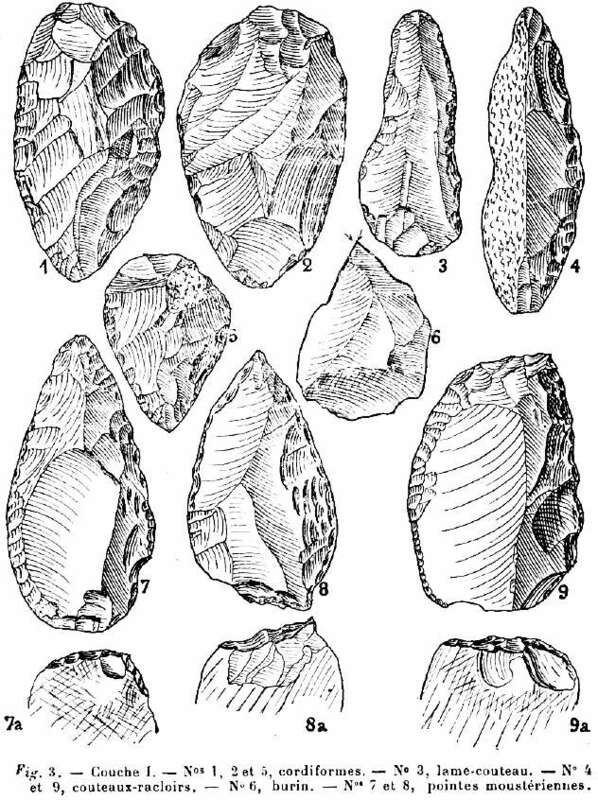 A tranchet flake is a characteristic type of flake removed by a flintknapper during lithic reduction. It involves removing a flake parallel to the final intended cutting edge of the tool which creates a single straight edge as wide as the tool itself. It is found in some Acheulean assemblages, and handaxes created using the method are called tranchet axes. Text: translated and adapted from Peyrony (1943a) with additional information from Wikipedia. No. 1 tranchet. 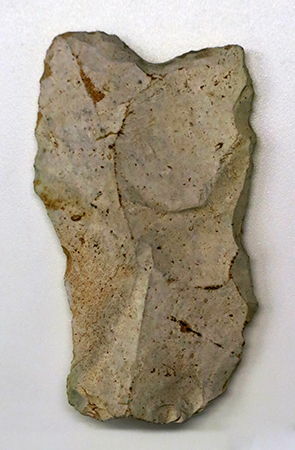 A tranchet flake is a characteristic type of flake removed by a flintknapper during lithic reduction. It involves removing a flake parallel to the final intended cutting edge of the tool which creates a single straight edge as wide as the tool itself. It is found in some Acheulean assemblages, and handaxes created using the method are called tranchet axes. Nos. 2 and 6 knives with the oblique edge worn out. Nos. 3 and 7 knife-scrapers. In the whole of the layers II to V, there were found just three skeletons of Marmots, dead in their own burrows, but which were not part of the archeological remains, two fragments of jaws of bovids, as well as some other bovid bones, and two horse teeth. 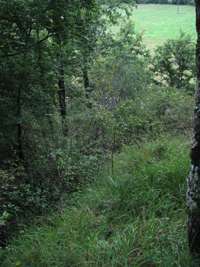 At the suggestion of Peyrony, Ami excavated a trench in this area that began just above the road and continued upslope in the direction of Abri Peyrony. The size of this trench, which appears to have been quite irregular, is enormous: it is about 35 m in length and varies in width between a little over 2.5 m at the top (i.e. furthest upslope) to a maximum width of about 10 m in its central portion and it is approximately 8 m wide at its base. 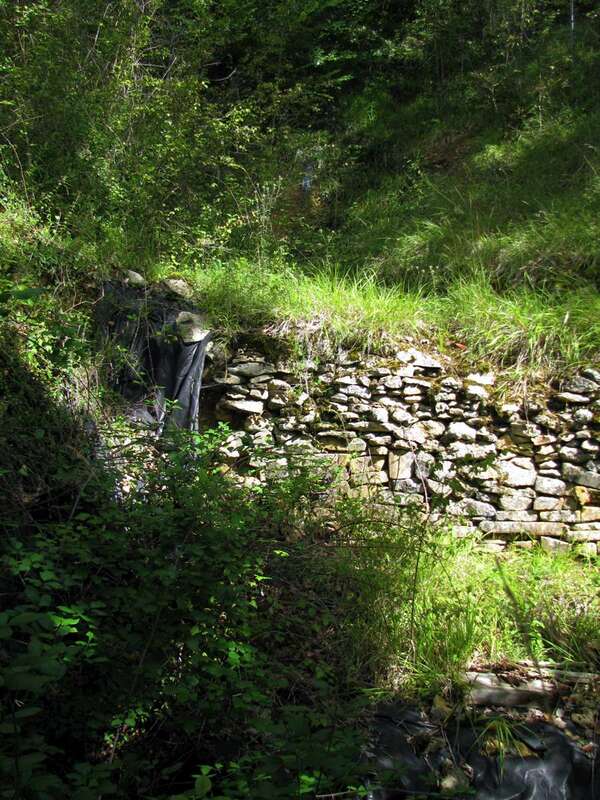 The average thickness of the archaeological deposits is about 3 m. This represents approximately 700 m3 of deposit, most of which was excavated between 1926 and 1931. Looking downhill towards the road, from the Henri-Marc Ami trench. 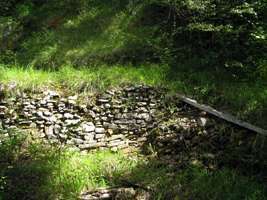 The results of this investigation show that for some flints at Combe Capelle, their ages have been found to lie between 50 000 and 60 000 BP. 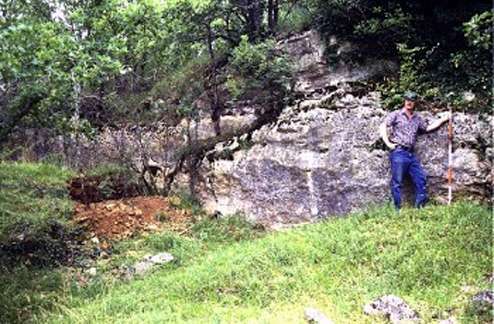 The Middle Paleolithic site of Combe-Capelle Bas, France, is known primarily from the excavations of Ami in the early part of the 20th century and more recently from the excavations of Dibble and Lenoir. Up to now, the only dates available for the site were based on geologic and paleoclimatic data. Most recently, Texier and Bertran suggest that the formation of the principal Mousterian deposits date to prior to OIS 6 and likely represent OIS 8 or even 10. The results of TL dating of burnt flints from these same deposits (Levels I-1D, I-1E, and I-2B), reported here, contradict this finding. They indicate an age of between 37 to 60 ka with six of the seven flints falling between 50–60 ka. This date fits well with Mousterian sites previously dated in this region of France. Plan view of Combe-Capelle showing Ami's trench and Dibble/Lenoir units. 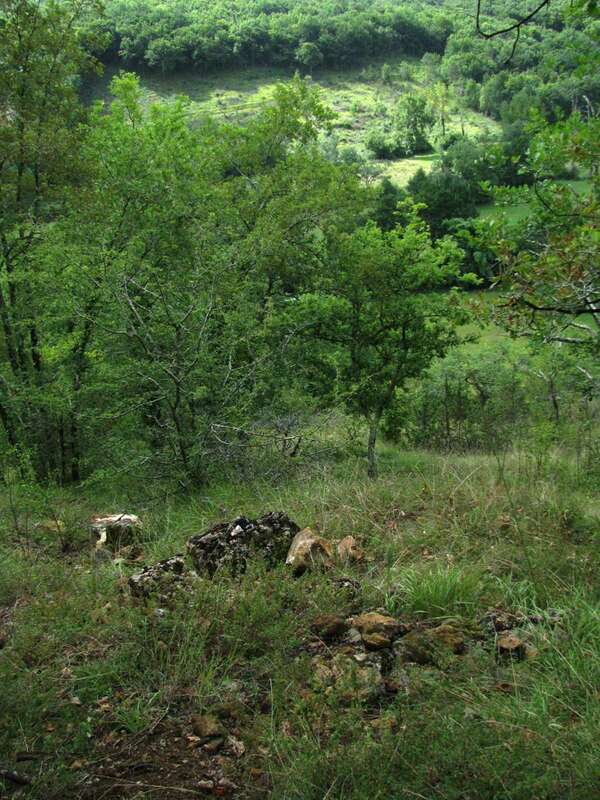 The inset shows a south–north profile of the hillside from the base of the slope to the Abri Peyrony at the base of the plateau. 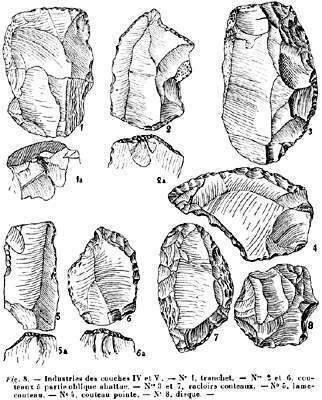 The flints collected for TL dating were from the A1 and A2 units in Sector I.
Flints in archeological strata act as dosimeters for the natural radiation received from internal and environmental sources during the burial time. When a flint is heated to a sufficiently high temperature (ca. 450°C) the effects of prior irradiation are erased and after cooling it begins storing the radiation energy received since the last heating. If the annual radiation dose received by such a flint can be determined, the thermoluminescence (TL) measurement of the total accumulated dose (paleodose) makes it possible to estimate how long ago a hearth, for example, into which the flint had fallen was abandoned. The thermoluminescence method is particularly useful for dating Middle Paleolithic sites beyond the range of radiocarbon method and has in the past provided age-estimates for several important Mousterian sites in Europe and the Near East. The burnt flint specimens discussed in this article were collected during the Dibble and Lenoir excavations at Combe-Capelle Bas from Levels I-1D to I-2B of Sector I (excavation Units A1 and A2). Among the ten flints selected for TL analysis, only seven were sufficiently heated to be datable. Of these, five specimens came from Level I-1D and one sample each from Levels I-1E and I-2B, respectively (Table 1). The flint find locations are indicated on the section presented in Fig. 3. 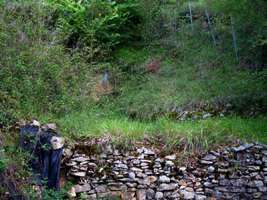 The industries of these three levels are technologically and typologically very similar and best classified as Typical Mousterian, rich in notched tools. In 1990, seven CaSO4:Dy dosimeters were placed for one year to measure the gamma and cosmic dose-rates in Levels I-1D, 1-2A, and I-3A (see Fig. 3). The distance between each flint-find location and the nearest dosimeters usually ranged from 0.2 to 1 m.
One sample, CC2, gave a much younger age, but the six other samples are compatible and show no noticeable variation with their burial depth (Levels I-1D to I-2B). Such agreement suggests that all six were burned within a narrow time interval and allows us to compute the mean weighted age of the individual results, with the statistical and systematic errors being treated separately. The mean age of 51.8 ±3.0 ka (at one sigma level) indicates that the fires in which the flints were burnt belong to the first part of OIS 3. West section of Units A1 and A2 with the locations of the burnt flint specimens and of the dosimeters. Elevations and the Y coordinates (across the top) are relative to the site datum. Three decorated pendants from Combe Capelle of mammoth ivory, from the Aurignacian, circa 32 000 BP. Haut de Combe-Capelle, also known as Abri Peyrony. 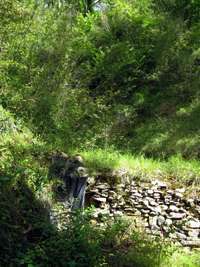 It is directly upslope from the trench which Ami dug, and at the foot of the cliff below the plateau. 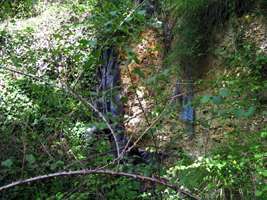 When I looked at my photos I was puzzled that they showed a small cave in the place where the literature showed just a low cliff as being Abri Peyrony, as in the photo on the left. Finally I realised that in the time since the photographs had been taken (1995 in this case) and 2008 when I was there, a dig had taken place which re-exposed the small cave, which had been covered up by some years of fill being pushed over the edge of the cliff from the quarry above. 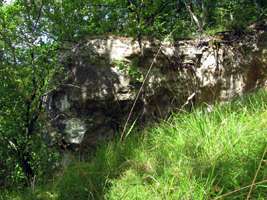 The photos are of the same place, as may be seen by the single tree trunk on the right, and the distinctive four trunked tree, somewhat thicker in my photo, on the left, as well as the moss and vegetation spilling down the low cliff beside the cave opening. The Abri Peyrony, or Haut de Combe-Capelle was excavated by Peyrony in 1925. 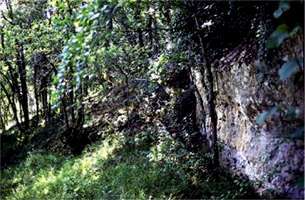 The archaeological deposits, which were not very thick, were situated on two terraces of bedrock. Based both on Peyrony's description and testing carried out in 1990 there appear to be two levels. The upper level is composed of brownish-red sediments which recall the sediments of the plateau immediately above this locale, while the lower level is composed of grayish concreted sediments. 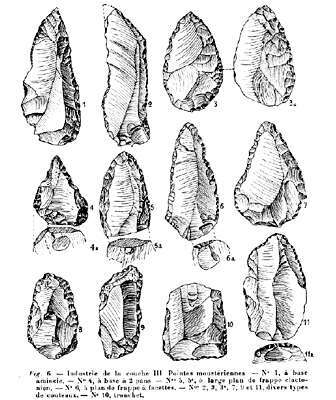 The rich and highly patinated industry recovered by Peyrony (including many of the pieces that he had originally left in his backdirt and which were later recovered by Paul Fitte), is clearly attributable to the Mousterian of Acheulian Tradition, containing numerous small cordiform bifaces, scrapers, denticulates/notches, and Levallois flakes. 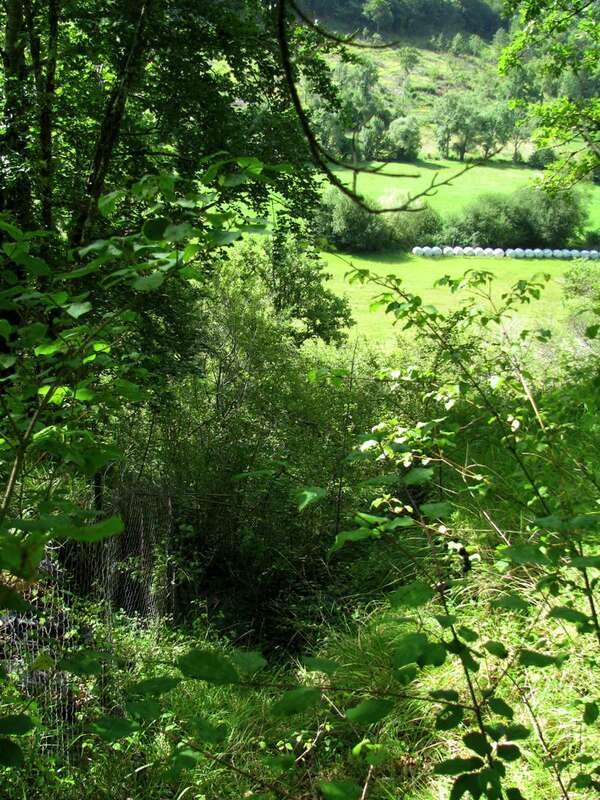 Our own testing of the site suggests that little remains of the locale, although a significant area immediately adjacent to the cliff has been covered by an enormous amount of debris from the limestone quarry located on the plateau. 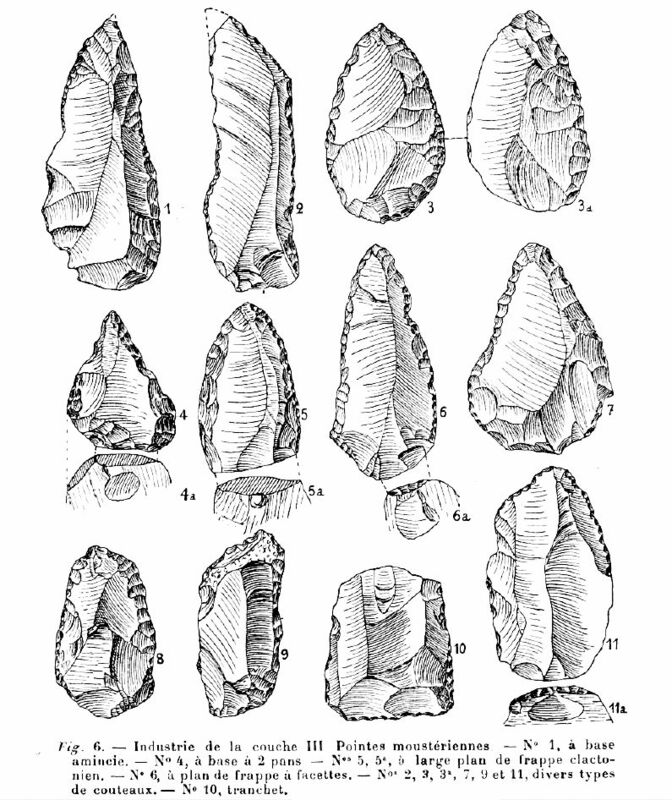 Mousterian encoche, notched tool, from Combe-Capelle, Saint-Avit-Sénieur. These were used for shaping materials such as wood, as for example smoothing spear shafts. Mousterian biface hand axe, from Combe-Capelle, Saint-Avit-Sénieur. The Abri Peyrony (also known as the Haut de Combe-Capelle) was last excavated by D. Peyrony in 1925. 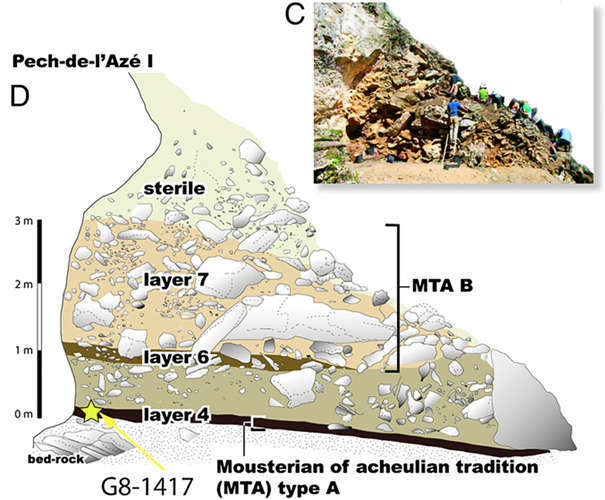 It produced a rich Mousterian of Acheulian Tradition (MTA) industry and fauna. 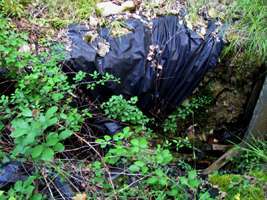 At some point prior to 1987, a portion of the site was covered in debris from the nearby quarry in an effort to protect the site. 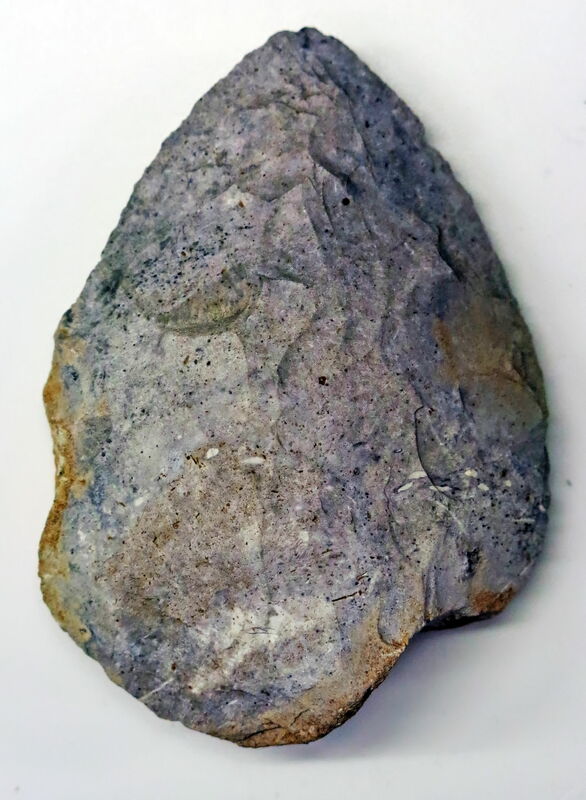 Then in 1990, Lenoir and Dibble did a limited test of the site and were able to locate an archaeological horizon that yielded some stone tools including four bifaces. 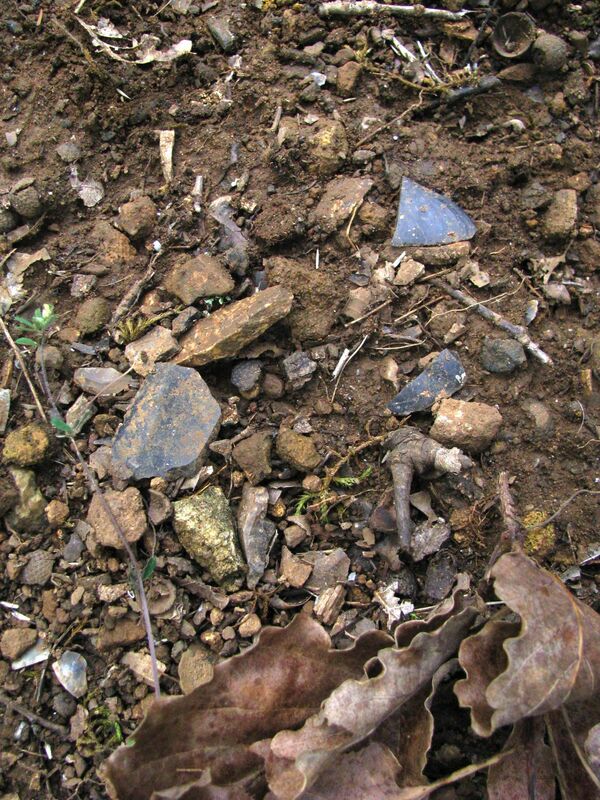 The long-term goal is to collect a new, controlled sample of lithics and fauna from the MTA and to date this material. The MTA is quite important as one of the last manifestations of Neadertals in southwest Europe and as perhaps the origins of the Chatelperronian. 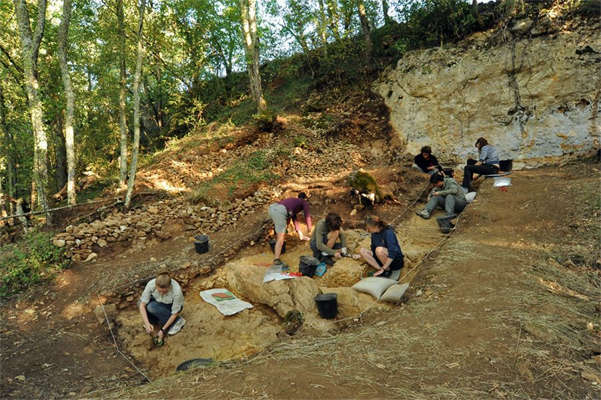 While it is mostly known from older excavations, more recent excavations at sites like Pech de l'Azé I and IV, Jonzac, and the Bergerac highway sites, are providing new data on the MTA. The new material from the Abri Peyrony will make an additional point of comparison. 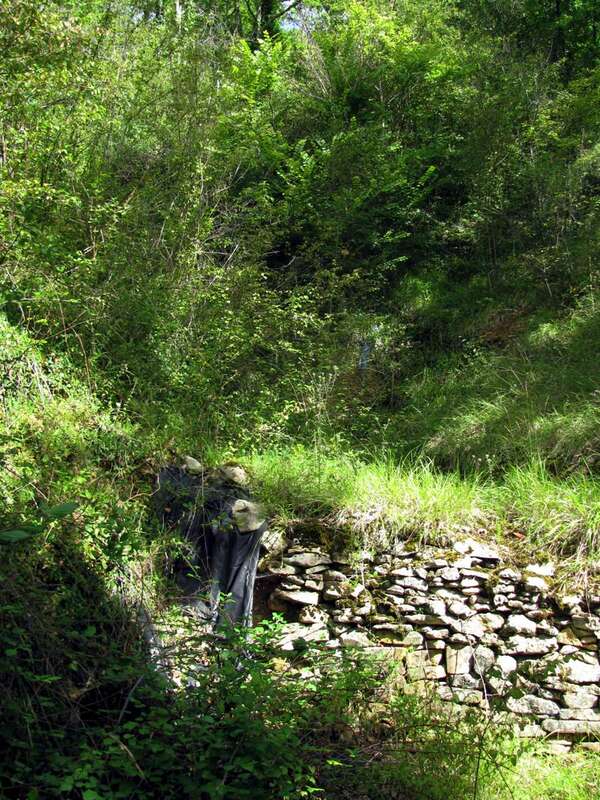 In 2009 we opened a trench against the cliff face and located in situ deposits. In 2010 we excavated these deposits to bedrock. Because the site is quite rich, we were able to generate a large lithic and faunal collection that we are now in the process of studying. Thus far we can confirm the presence of MTA only on the lower terrace. The upper terrace industry in clearly Middle Paleolithic, with Levallois and discoidal techniques of blank production, but there are no handaxes or backed pieces. 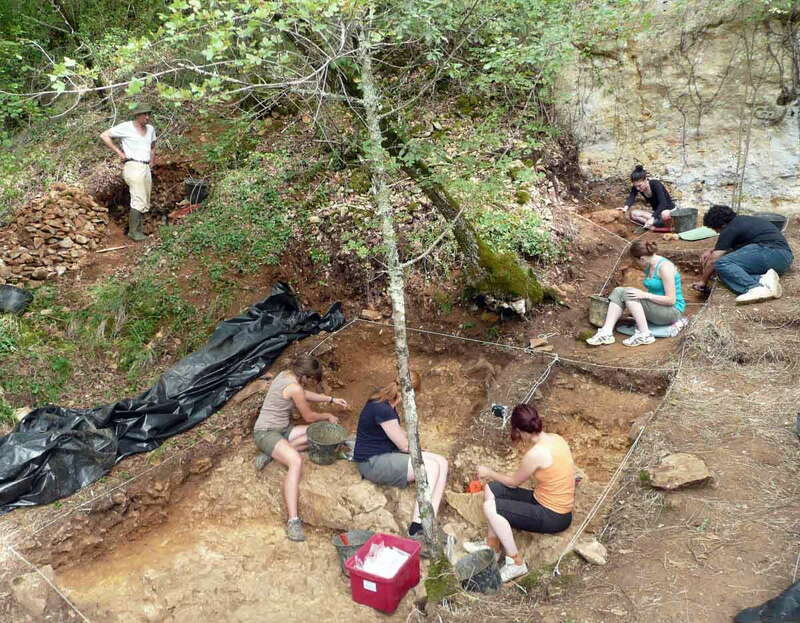 Geological, site formation, dating, faunal, and lithic studies are underway. 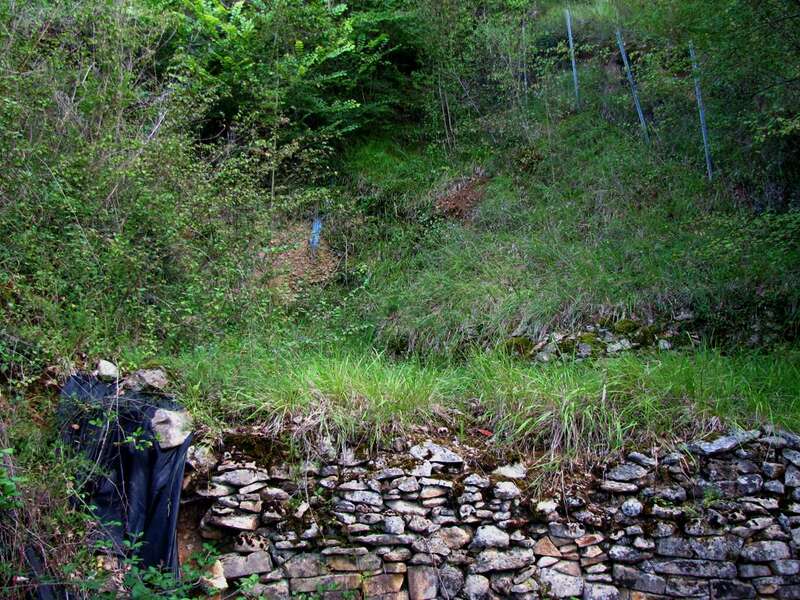 Whether there are renewed excavations at the site depends on the results of the on-going studies. 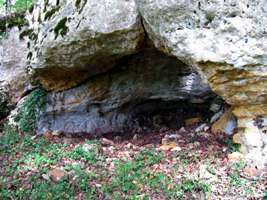 The Roc de Combe-Capelle is located about 60m from the Abri Peyrony along the same cliff line. 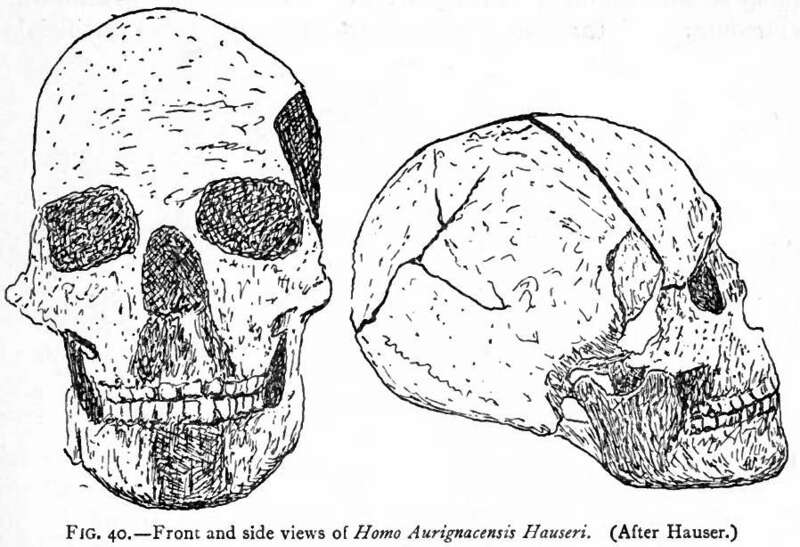 The site became famous in 1909 when Hauser discovered a nearly complete skeleton of Homo sapiens, which Hauser and later others thought was associated with the Chatelperronian at the base of the sequence. 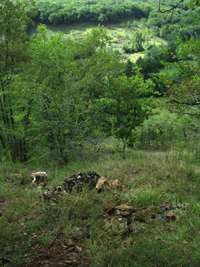 Above the Chatelperronian the site also contained Aurignacian, Gravettian and Solutrean. Our excavations in 2009 at this site confirmed that nothing remains of this sequence today and that the site has been entirely excavated (what remains is only backdirt). 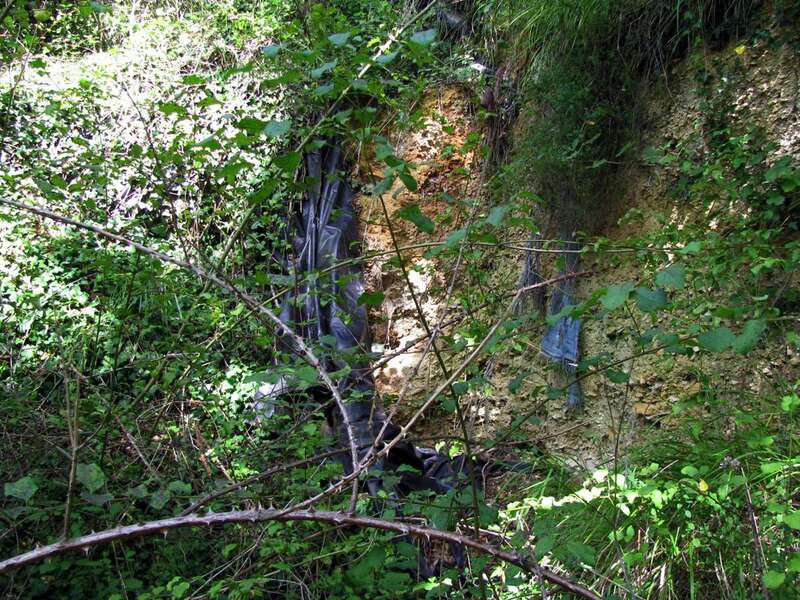 It is still possible that some smalll, isolated pockets of in situ material remain in places under the backdirt or against the cliff, but we have no additional plans to work at the site. 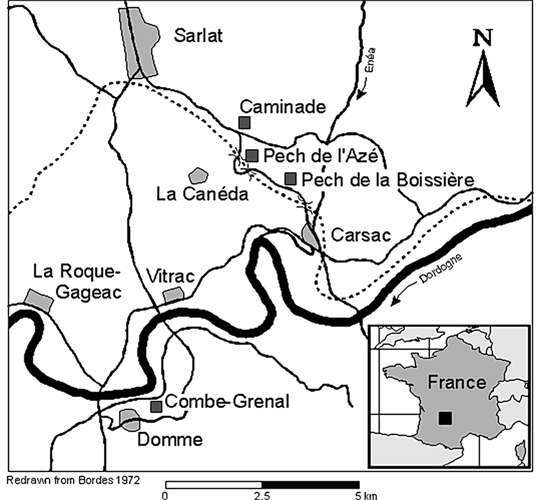 Two recently excavated Mousterian of Acheulian Tradition (MTA) sites, Pech-de-l’Azé I (Pech I) and Abri Peyrony, located ∼35 km from each other on separate tributaries of the Dordogne river in southwest France yielded nearly identical fragments of bone with smoothed edges and a rounded tip. The three Abri Peyrony bones were recovered from two levels (3A and 3B) within layer L-3. 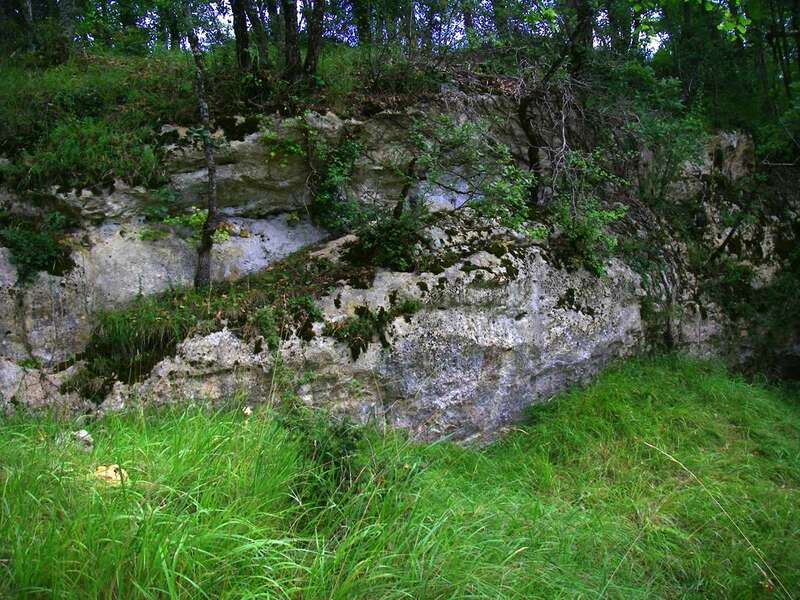 This layer is composed of limestone fragments and detritus derived from the backing cliff, and it rests on the bedrock. 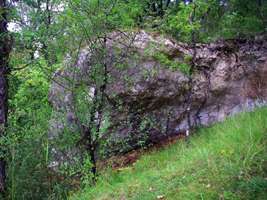 The layer was cemented during or shortly after deposition by calcium carbonate from a groundwater seep at the base of the clifﬂine. This cementation prevented postdepositional disturbance (e.g., bioturbation) from affecting the deposit, and an intact combustion feature in level L-3A demonstrates minimal postdepositional disturbance. 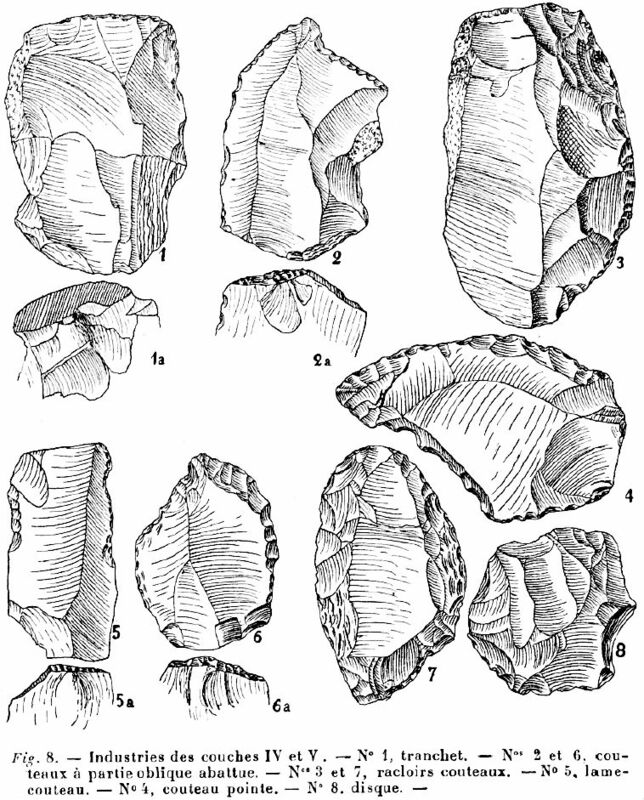 The lithics from level L-3A include handaxe thinning ﬂakes, cordiform handaxes, and backed knives typical of the MTA. 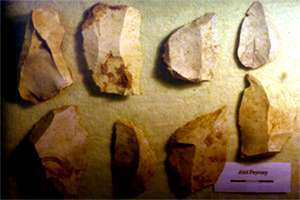 The level L-3B lithics are very similar with regard to blank excavations. Seven 14C accelerator mass spectrometry age determinations on cut-marked bone from layer 3 provide a range of 47 710 - 41 130 Cal B.P. 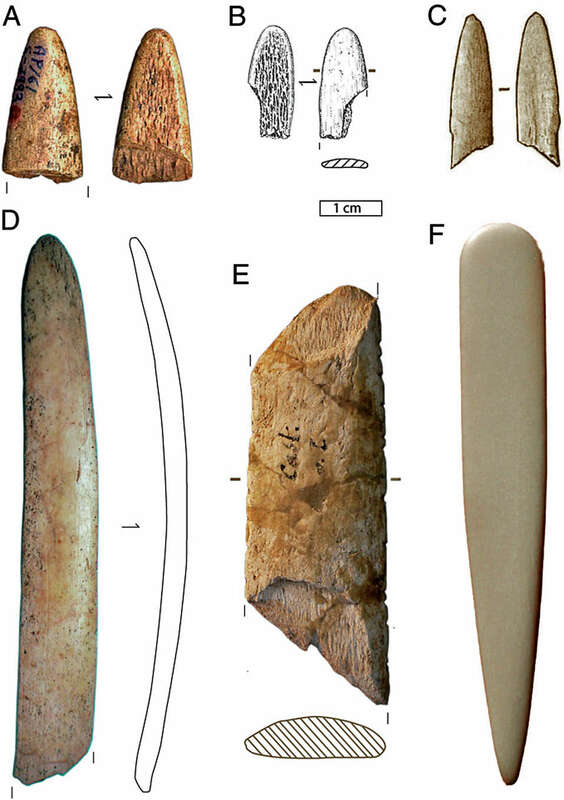 Photographs and drawings of the Abri Peyrony (AP) and Pech-de-l’Azé I (PA I) bone tools. (A) AP-7839. (B) AP-4209. (C) AP-4493. (D) PA I G8-1417. (E and F) G8-1417 cortical side showing a uniform shine, rounding and slight crushing of the distal end. (G) G8-1417 trabecular bone with no rounding or striations and a bending fracture. (H) Close-up of tip polish on AP-4209 showing gradient from cortical bone to polished trabecular bone to fresh trabecular bone. (I) Close-up of facet on AP-4209. The Pech I bone, G8-1417, comes from layer 4 at the base of the sequence. Layer 4 consists of stone artifacts, bones, including one juvenile Neandertal tooth, and ash (from hearths) in a clayey, sand matrix. These sands, deposited by run-off, are derived from underlying endokarstic fluvial sediments. Minimal postdepositional disturbance is indicated by anatomical connections of a number of bones, spatial association of burned bone with ashes, artifacts broken in situ by rock fall, and a low percentage (< 1%) of trampling fractures on bone. 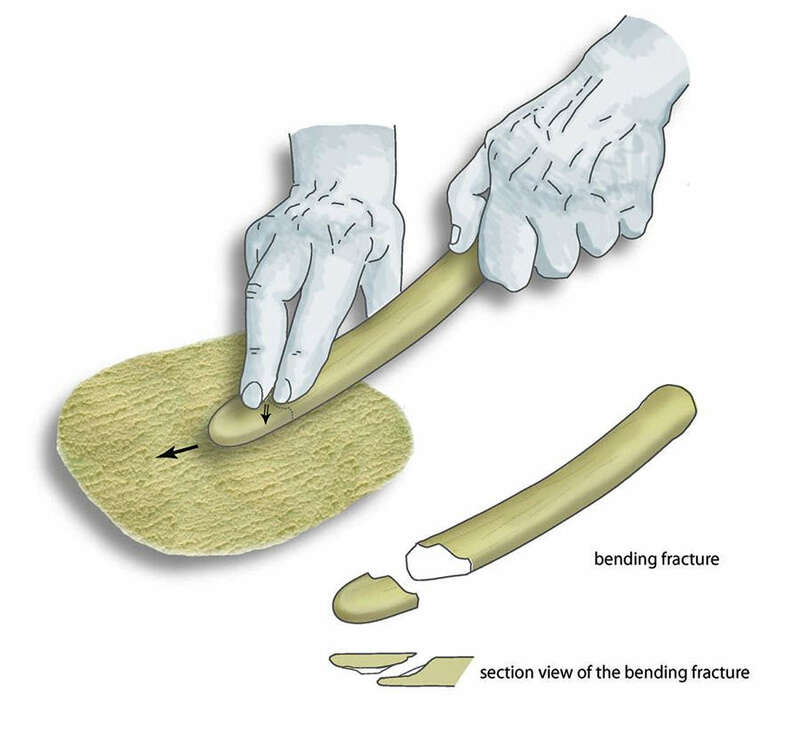 Bone preservation is good, with only 30% (number of specimens > 2.5 cm = 2 632) affected by surface weathering and less than 8% being rounded. There is little evidence of carnivore impact on the assemblage, and carnivores seem to have had a very limited role in the assemblage formation. The stone artifacts include cordiform handaxes and backed knives typical of the MTA. 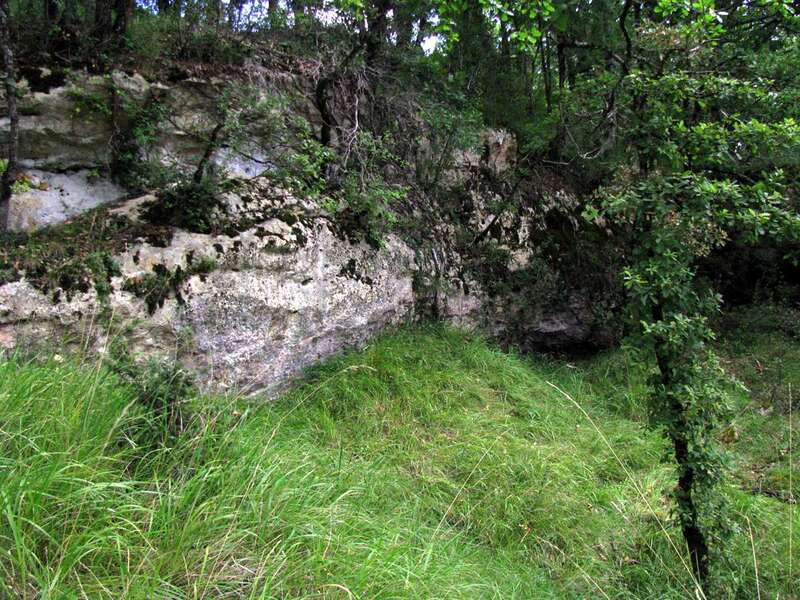 No Upper Paleolithic or later period deposits have been found during four different excavations, and layer 4 is below 3 metres of undisturbed Middle Paleolithic deposits. Single-grain optically stimulated luminescence dating of three sediment samples from layer 4 gave a weighted mean age of 51 400 ±2 000 BP. This age is consistent with previously reported conventional radiocarbon, electron-spin resonance, and coupled electron-spin resonance/uranium-series ages. (Left) Location of Pech de l'Azé. This map shows the location of Pech in relation to modern towns and several other prehistoric sites. 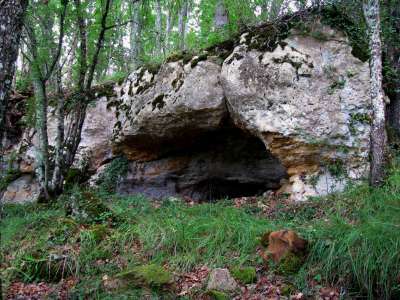 (Right) Pech de l’Azé (pronounced 'pesh/de/lahz' as if the final accent was not present) is a cluster of four Lower and Middle Paleolithic sites. 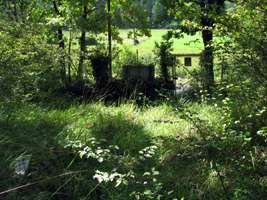 They are situated some 50 metres off the floor of a small, usually dry, valley that runs into the Enéa, a small tributary of the Dordogne River. 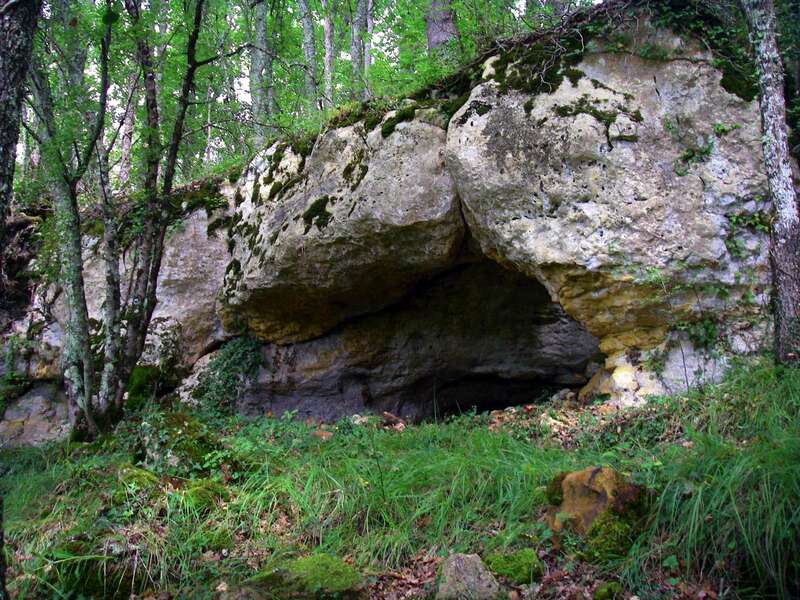 Pech de l’Azé I and II are at opposite entrances of a single tunnel-like cave that intersects a promontory in the limestone cliff. Pech de l’Azé IV is a collapsed rock shelter roughly 80 metres east from the mouth of Pech I. Pech de l’Azé III (not shown in the figure) is a small cave in the same cliff located about 30 metres west of the opening of Pech II. 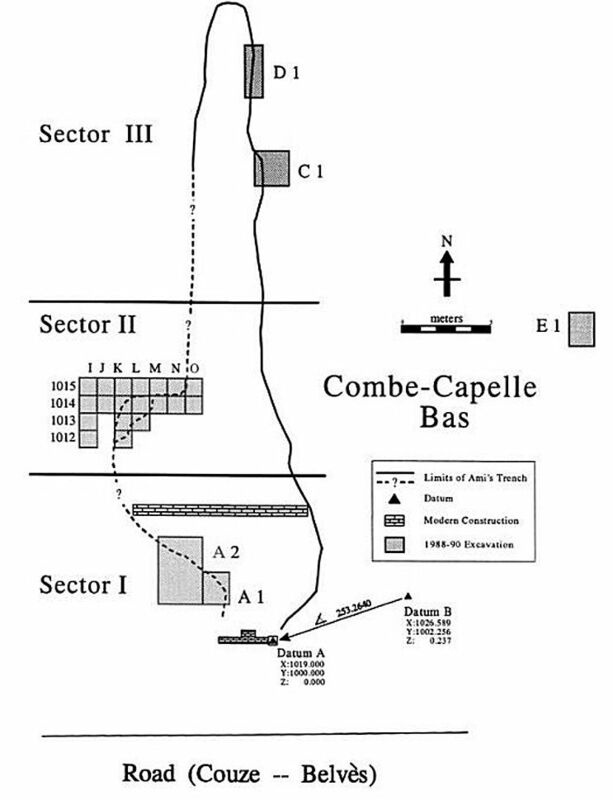 Pech de l'Azé I, II, and IV base map prepared by McPherron and Dibble 1998. Outline of Pech de l'Azé I and II caves from Bordes 1972. 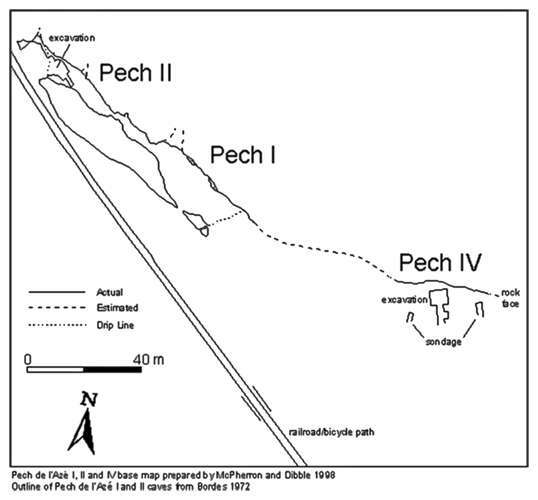 This map of the Pech sites was made in 1998. What was a railroad track running in front of Pech I and II is now a bicycle path. (A) View north of Abri Peyrony after 2010 excavation. (B) East section of Abri Peyrony with stars indicating the levels containing the reported bones. (C) View of the Pech I 3-m MTA section. 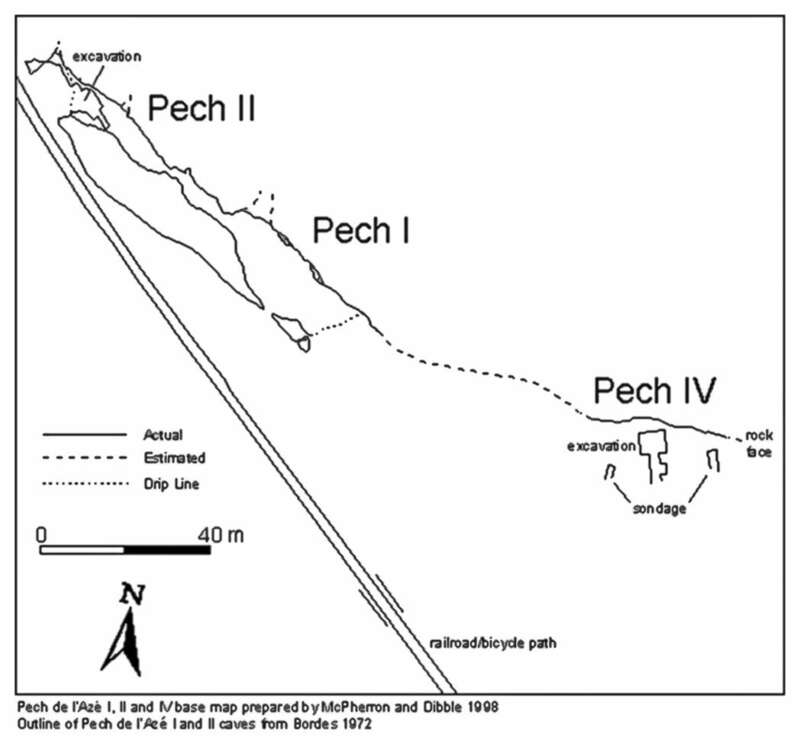 (D) East section of Pech I with the star indicating the location (1metre from the drawn section) of the reported bone. Archaeologists have unearthed the oldest specialised bone tools ever found in Europe, at sites where Neanderthals lived more than 40 000 years ago. The slender, curved implements called 'lissoirs' were shaped from deer ribs and likely used to work animal hides to make them softer, tougher and more waterproof. 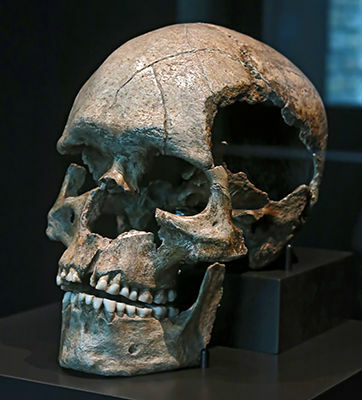 The tools are remarkable because they seem to pre-date the arrival of modern humans in Europe, suggesting that Neanderthals invented them, rather than copying the designs from humans. 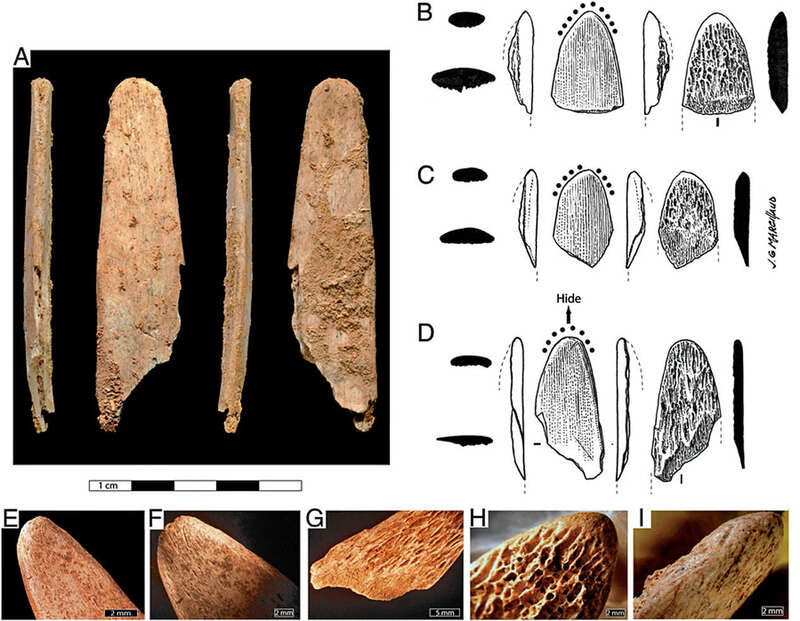 Similar tools, called slickers or burnishers, are still in use by leather workers today, meaning the instruments may be the only known examples of modern tools that owe their existence to our ancient Neanderthal relatives. The tools are said to be 'specialised' because they exploit particular features of bone, such as its toughness and flexibility. 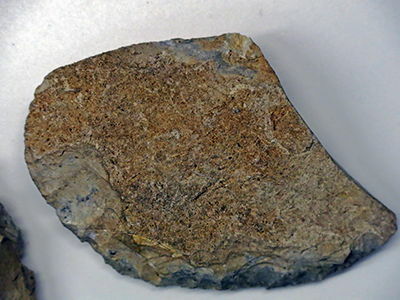 Lissoirs could not be made from a hard and brittle material like stone, because it would damage the leather and risk snapping in the user's hand. But made from bone, the tool would flex as it was pressed onto a hide. Researchers led by Marie Soressi at Leiden University found the first large piece of a lissoir at a cave called Pech-de-l'Azé I on a tributary of the Dordogne in southwest France. 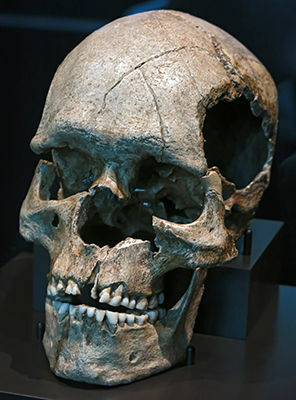 The skull of a Neanderthal child, ash from a hearth and other Neanderthal remains were found at the same site, but there is no sign that Cro-Magnons, modern humans, ever lived there. The site dates to around 51 000 years ago. 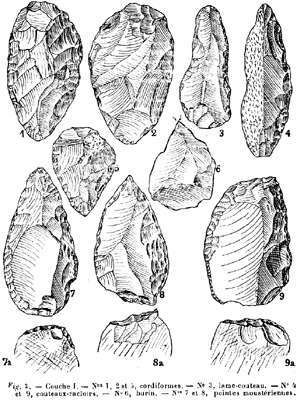 Examples of Upper Paleolithic lissoirs. 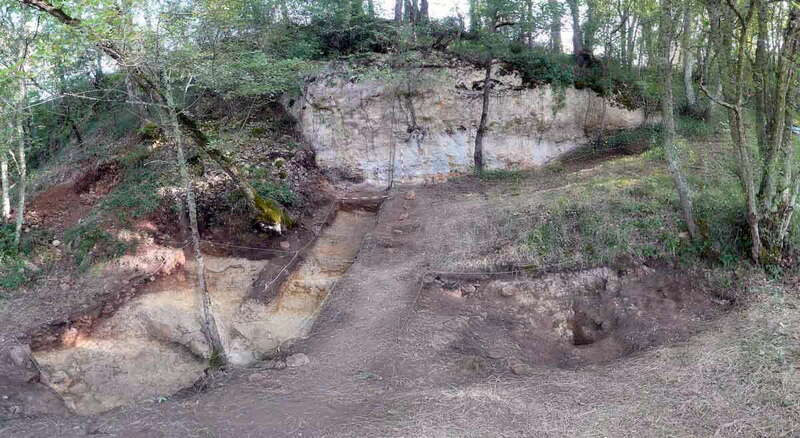 Excavation in Abri Peyrony, at Combe Capelle in the French Dordogne, where recently three special bone tools, Lissoirs, for leather processing, were excavated . 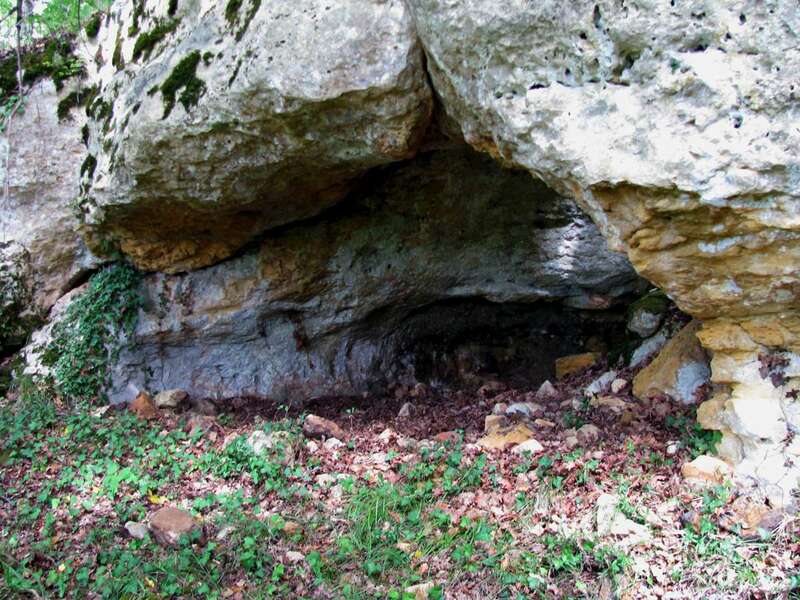 The group led by McPherron, unearthed three smaller tips of lissoirs at another Neanderthal site 35km away, beneath a shallow cliff face in Abri Peyrony, part of Combe Capelle, a well known Neanderthal site. Carbon dating revealed that bone at the site was 41 000 to 48 000 years old. The tools were probably made from the ribs of red deer or reindeer, the authors write in Proceedings of the National Academy of Sciences. The tip of each tool was tapered, ground and rounded off, and one side was polished to a shine. The other side was fresh, unmodified bone. 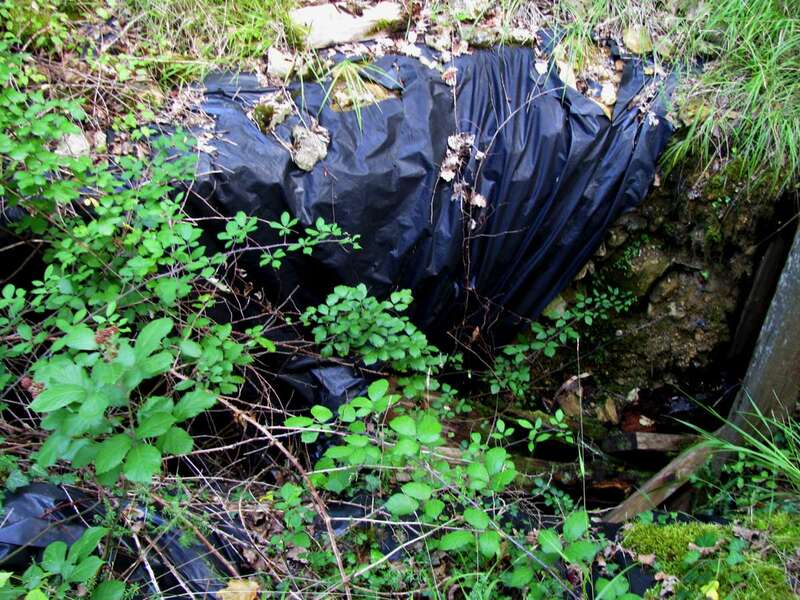 Intact, each tool would have been 20 to 40cm long, Soressi said. Under the microscope, the tip of the largest tool, around 8cm long, showed signs of wear from being used. The scientists saw similar abrasive marks when they made copies of the tools from fresh animal ribs and used them to smooth out a dry hide. The smaller tips likely broke off when the Neanderthals pressed too hard. 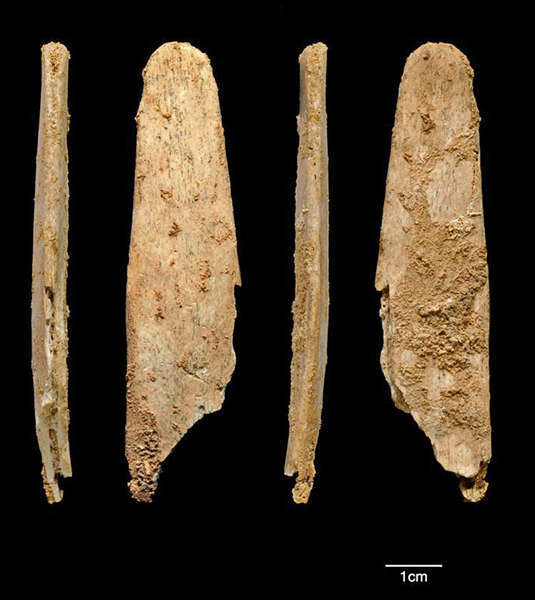 Other bone tools made by Neanderthals have been found before, but the lissoirs are thought to be the first that required a technological leap to exploit the special properties of bone. 'They were taking a rib and probably snapping or grinding the end off it, then grinding the tip into a smooth arch shape. They were then pushing the tip into a hide, and that process of applying firm pressure across the hide makes the leather more pliable and more water resistant. They didn't choose any old bone, they chose ribs which have some give to them. The rib flexes in your hand and doesn't gouge the leather, it polishes it,' said McPherron. 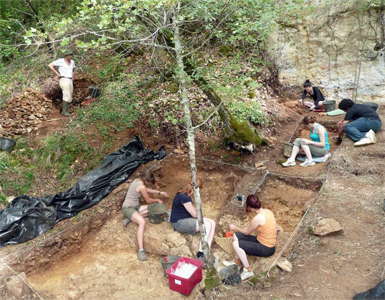 The scientists put forward several scenarios to explain the origins of the tools. 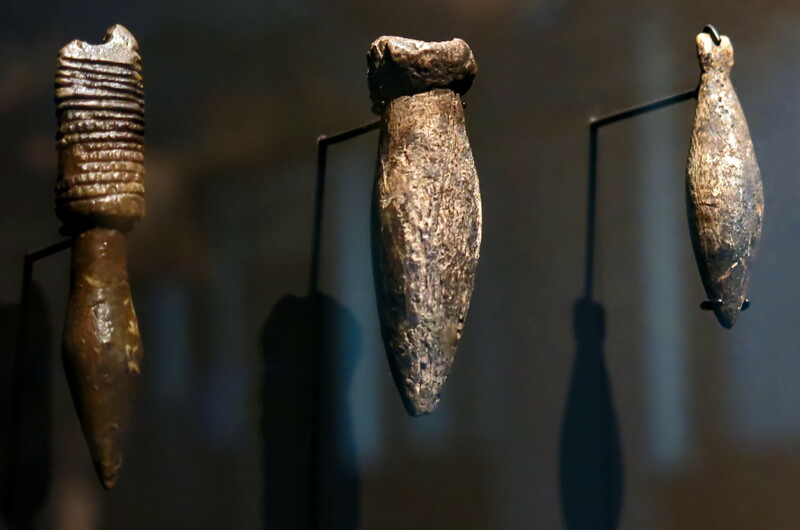 Fossil evidence suggests that the first wave of modern humans reached Europe with stone and bone tools around 43 000 years ago. But perhaps they arrived much earlier, and Neanderthals learned bone tool skills from them. Another possibility is that the technology spread to Neanderthals in Europe from modern humans who were already in the Middle East. 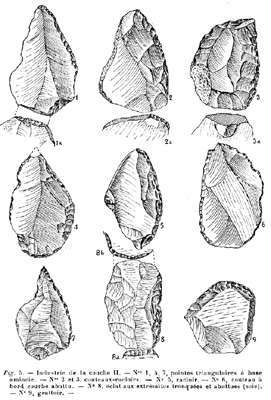 A third is that Neanderthals invented the tools and early modern humans adopted them when they arrived. Soressi discovered the larger lissoir in 2005, but had to wait for more fragments to be found before she could convince a journal to publish the work. 'Neanderthals were able to produce these tools and they have so perfect a design that we are still using them today. What surprises me is to have something that lasts 50 000 years with almost no changes. It's so well adapted to the task,' she said. 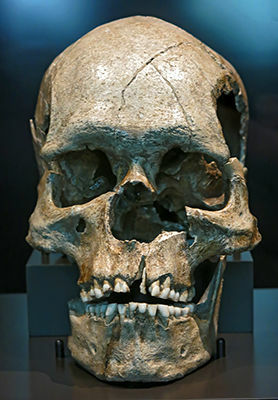 'This adds to the evidence that Neanderthals were developing their own complexity culturally and brings us back to the question of whether they were doing this on their own, entirely independently, or under the influence of modern humans,' said Chris Stringer, head of human origins at the Natural History Museum in London. 'It looks like there weren't modern humans alongside the Neanderthals passing this kind of technology across. But modern humans had made it to the Middle East at this time, and they bred with Neanderthals there, so maybe there could have been exchanges of information that then spread westwards,' he said. Diagram of the use of the Lissoirs, made from the ribs of deer, which were used to make animal skins supple, shiny and water resistant. The natural flexibility of the ribs ensures a constant pressure on the animal skin, but without tearing. The lower part of the figure shows how the downward pressure eventually leads to breakage, by which small fragments - like the three found - arise. Roc de Combe-Capelle, viewed from down-slope. Close by Roc de Combe-Capelle. This was pointed out to me by the official from the French Ministry of Culture as illegal digging by flint tool collectors. This is a continuing problem at many similar sites. This photo is taken from a viewpoint a few metres to the right of my photo. (Note the distinctive white mark on the rock.) It would appear that there has been about 50 cm of material built up at the foot of the rock between the times of the two photos. 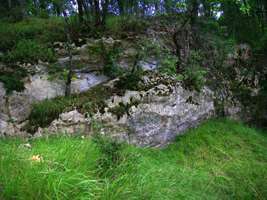 There is a quarry on the plateau a few metres above this section, and Dibble et al (1995) refer to a large amount of quarried limestone rubble being dumped over the cliff directly onto the vicinity of the site. 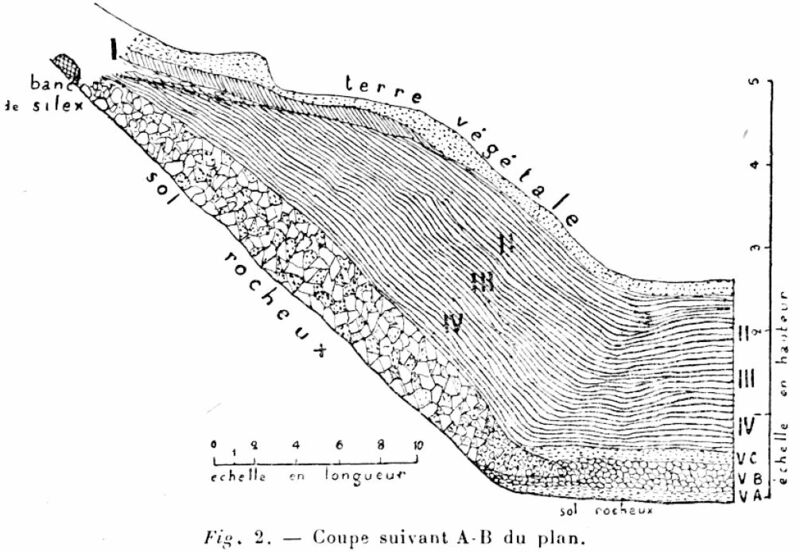 Coupe stratigraphique du gisement de Combe-Capelle fait le 01.07.1907, d'apres H. Breuil. This is almost certainly the stratigraphy of the Roc de Combe Capelle at the top of the slope, originally excavated by Villeréal in 1907. 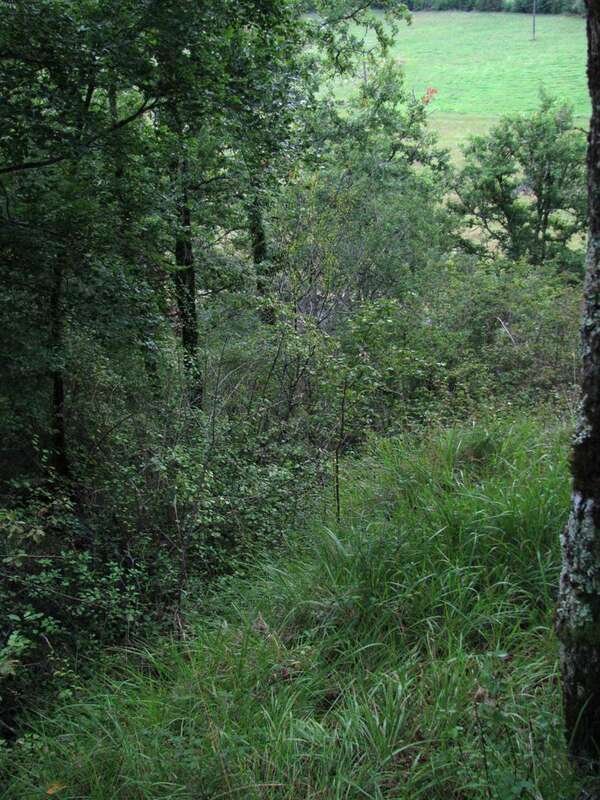 Looking down the slope of Combe-Capelle from the top of the Ami trench. 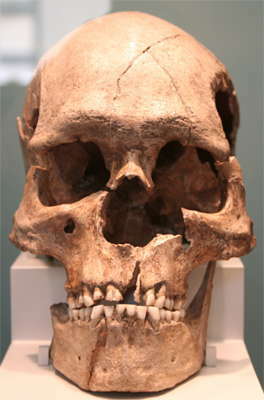 The fossil skull is displayed since 2003 in the Museum für Ur- und Frühgeschichte in Berlin - Charlottenburg (Germany). Source: Museum für Vor- und Frühgeschichte, Berlin. 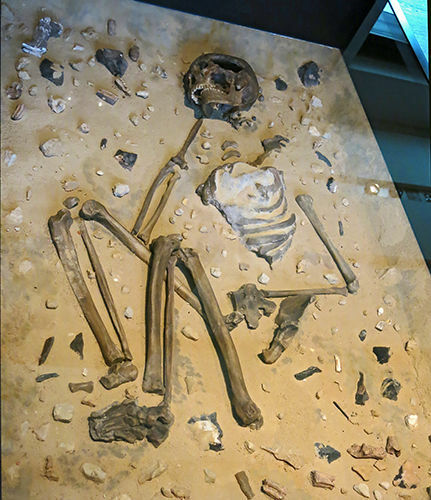 Reconstruction of the burial at Combe Capelle of 'Homo Aurignaciensis Hauseri' with grave goods, circa 9 600 BP. Homo Aurignaciensis Hauseri was a modern human, Homo sapiens sapiens. The drilled shells were for personal adornment. 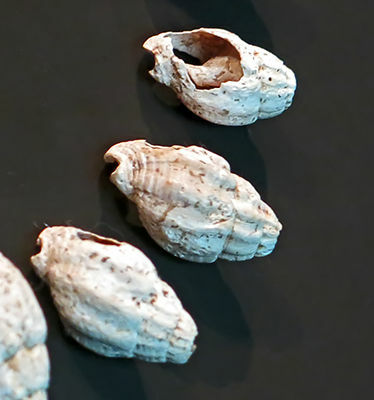 Close ups of some of the shells. 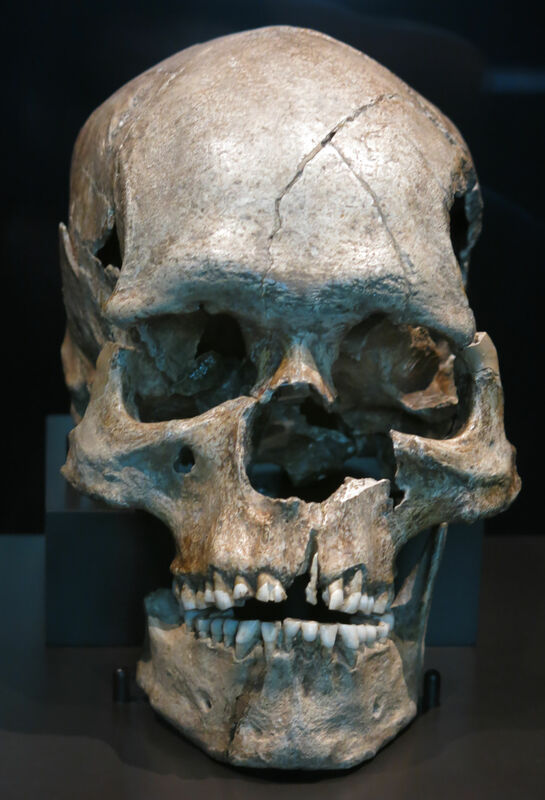 The question of the age of the Cro-Magnon and Combe-Capelle human fossils is clearly of considerable importance. Hominid specimens from both sites have played a critical role in the development of current perspectives on modern human origins in Western Europe. The Cro-Magnon skeletal remains, discovered en 1868 near les Eyzies-de- Tayac by workmen and excavated by L. Lartet are routinely attributed to the Aurignacian culture. 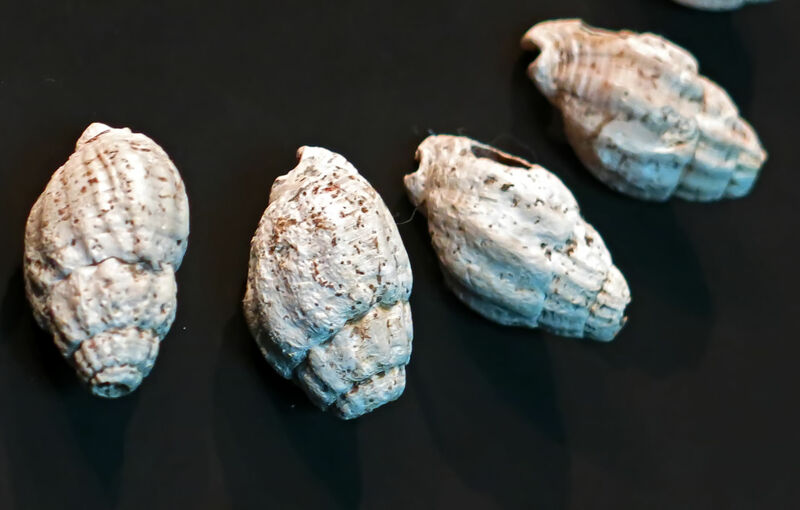 An AMS C14 date (27 680 ± 270 BP, Beta — 157439) of a shell associated with the human remains as well as cultural indications, demonstrates that these specimens postdate 28000 BP. The Cro-Magnon burials should not be attributed to the earliest Aurignacian, but rather to the Gravettian. The Combe-Capelle skeleton was discovered by O. Hauser at the beginning of the twentieth century. 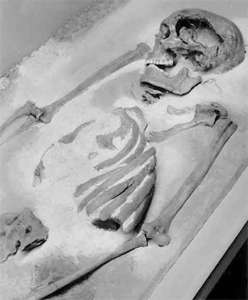 According to him, the burial occurred at the interface between a Mousterian and an early Aurignacian (i.e. Châtelperronian) level. The supposedly Châtelperronan age of the skeleton (and the very authenticity of the skeleton itself), and its morphology, have long been the subject of debate. As the remains had until recently been thought to have been lost or destroyed during the last war, it was impossible to check the original data. 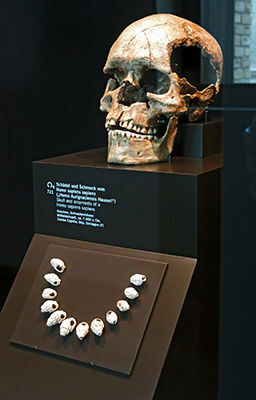 In 1990, the Combe-Capelle remains were rediscovered by A. Hoffmann and D. Wegner at the Museum für Vorund Frühgeschichte, Staatliche Museen zu Berlin (RFA). The morphological study of the Combe-Capelle skull, the analyses of associated shell ornaments and of available archives provide some new insight into the probable age of this specimen. This new analysis has quite important implications for our understanding of cultural and biological processes at the beginning of the Upper Paleolithic in Europe. Henri-Marc Ami (November 23, 1858 – January 4, 1931) was a French Canadian archaeologist responsible for the initial excavation of Combe-Capelle from the years of 1926 until his death in 1931. In 1900 he was elected to the Royal Society of Canada. 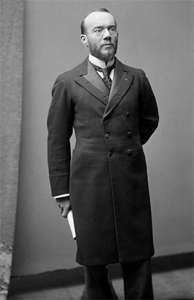 Henri-Marc Ami, paleontologist, prehistorian (b at Belle-Rivière, Qué 23 Nov 1858; d at Menton, France 4 Jan 1931). The son of a Swiss pastor, Ami studied science at McGill, notably under John William DAWSON. He worked for the Geological Survey of Canada 1882-1911. 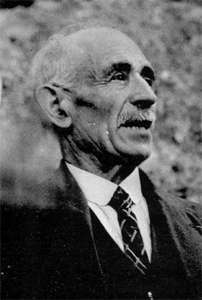 Ami is best known for his work on geological formations in Québec and the Maritimes. His bibliography contains over 200 titles. He was editor of the Ottawa Naturalist 1895-1900. In 1900 he was elected to the Royal Society of Canada, and the Geological Society of London honoured him with the Bigsby Medal 1905. 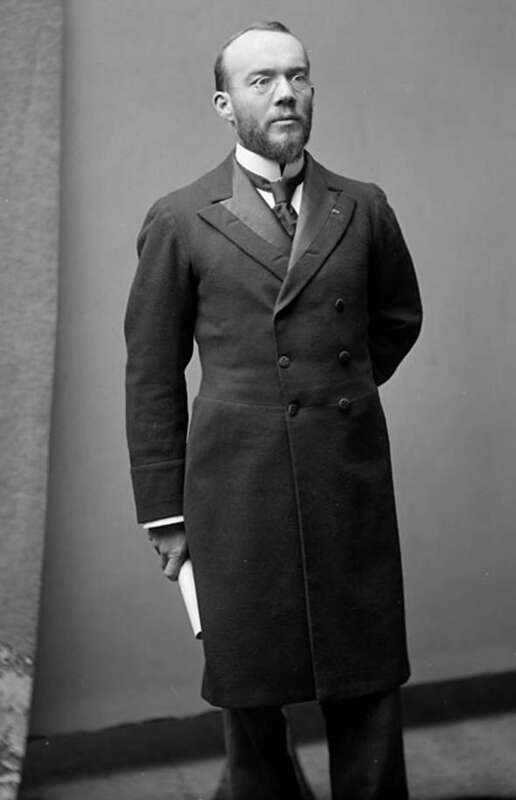 His comfortable financial situation and marriage to Clarissa Burland, from a prominent Montréal family, allowed Ami to resign from the Geological Survey in 1911 to concentrate on prehistorical studies. After moving to France, he founded the École canadienne de préhistoire, an institution jointly funded by the French government and the RSC. The Prehistoric site of Combe-Capelle is a three tiered complex situated on a hillside in the Couze valley near the village of Montferrand-du-Périgord. 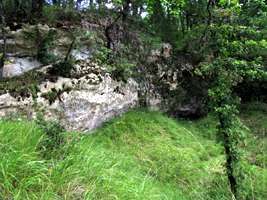 At the top of the hill, at the foot of a small cliff, the caves of Roc de Combe-Capelle and Combe-Capelle Haut were the first to be excavated. 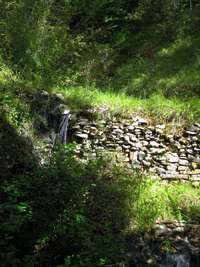 On the slope, Combe-Capelle Bas was excavated more recently. The Roc de Combe-Capelle discovered in 1887 was excavated by Mr Villereal and then by O.Hauser, who discovered in 1909 a skeleton belonging to the Chatelperronien. It was buried intentionally with a cloth and a twin-edged tool next to its left hand. It was a small man measuring 1.60m. 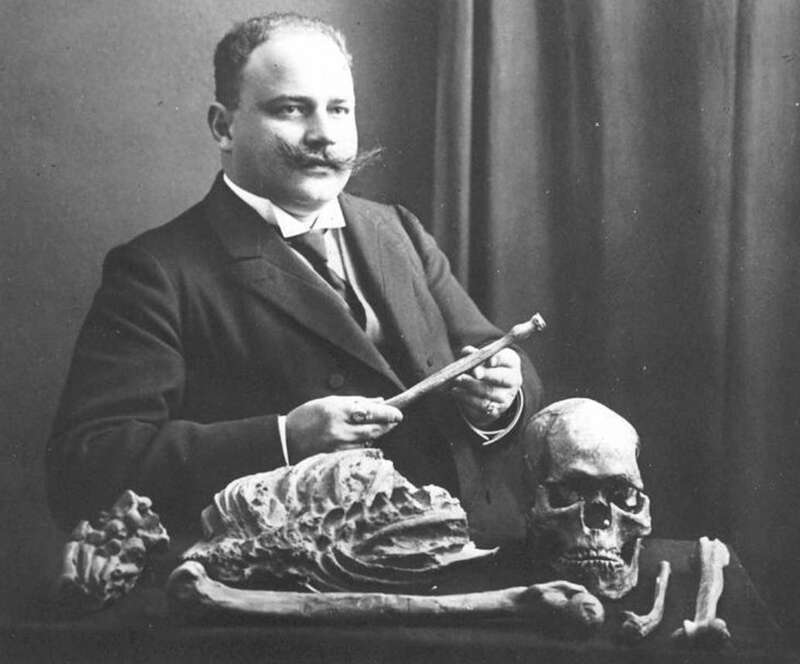 Hauser published his discovery, sold the skeleton to the Berlin museum and gave a mold of it to the Périgueux museum. 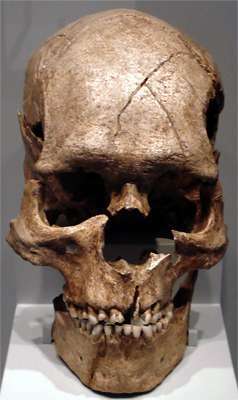 The circumstances of the discovery, the exact position and the skull characteristics have been questioned by several prehistorians since the first criticisms by the prehistorian, Denis Peyrony. The site, having been completely excavated, has lost its stratigraphy. 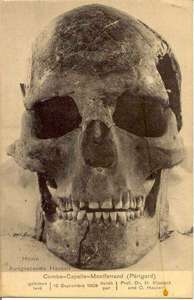 The skeleton was destroyed in the Berlin fire of 1945 and so no analysis by modern methods is possible. Apart from the mold and old publications, nothing remains of this famous and controversial Combe-Capelle man. 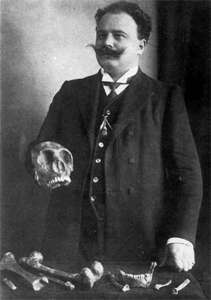 A cast of the skeleton and skull, the original skull on a postcard, and Otto Hauser with a different skeleton. 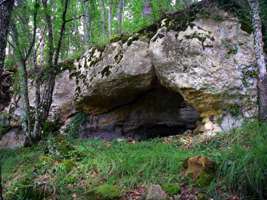 Combe - Capelle, situated near the ancient town of Montferrand-du-Perigord (Dordogne), is the site of the discovery of another Palaeolithic skeleton by M. O. Hauser. 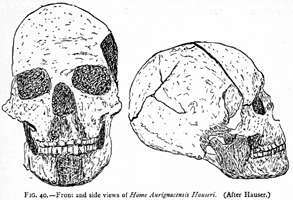 While excavating in archaeological ground of the Aurignacien Age on the 26th August 1909, he exposed the upper portion of a human skull in a deposit which had not been disturbed by any previous excavators. 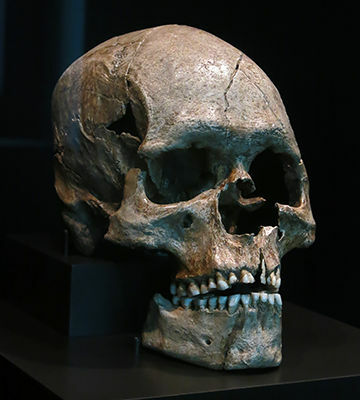 The skull was not then removed, but was left in situ till the I2th September, when the discoverer secured the assistance of Professor Klaatsch, well known as an expert in human palaeontology. 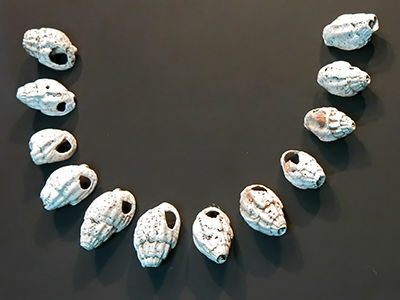 In the course of removing the bones, numerous perforated marine shells were observed in the vicinity of the head and neck, which evidently had served as some kind of ornament. The skeleton was that of a male subject, but its osteological characters were not those peculiar to the Neanderthal-Spy race. Breuil, H., 1909: L'Aurignacien présolutréen. Epilogue d'une controverse Revue préhistorique, IV, 1909, p. 270, fig 2. Peyrony, D., 1943b: Le Gisement Du Roc De Combe Capelle (Commune de Saint-Avit-Sénieur, Dordogne), Bulletin Société historique Périgord , 0, 1943, S. 156–173, (Périgueux).